My day starts early with a really good stretch, then a cup of hot water and lemon whilst I write my morning pages I’ve done this practice for 15 years (essential for my sanity and clarity) then 20 mins of Qi Gong and a 10 minute meditation. I have started exercising about three times a week and one at the weekend this is often a swim and sauna. I walk there about 15 mins and then back to shower. In the morning I use ‘Boost Hair & Bodywash’massaging along the meridian pathways with a sisal glove, it really get’s my skin tingling then a generous layer of ‘Cherish skin repair serum’, it’s like an uplifting hug and I’m good to go. Breakfast is either eggs,peppers and spinach, homemade unsweetened Granola and yogurt or in the winter porridge, chia seeds made with almond milk. l love scenting so currently I’m using a beautiful wild rose oil on my pulse points, I also love ‘Fleur de Sel’by Miller Harris, so clean and fresh. I am pretty tired by the time I get home so a nice soak in ‘Equilibrium’ or ‘Protect’ to unwind and dis-engage from work. We eat around 7-7.30. I am a bit of a late bird but always cleanse and use my new ‘skin elixir’ which will be launching in the autumn; it sets me up for my slumber and I always so some deep breathing before I sleep. 2- What are your 3 ‘must have’ beauty/makeup/wellbeing products and why? My new face elixir and my Rose Quartz Gua sha tool, Bobbi brown skin foundation spf 15, Flax seed oil great for good complexion. 3- How do you manage stress/relax? I write, I meditate and do Qi Gong also walking is a great leveller and then of course deep breathing is a marvellous meditation and antidote to stress. 4- At wow beauty we are conscious of the mind/body connection: as a leading advocate of the link between mind and body, how important is it for us to make ‘me time’ ? Essential, too often people wait until their battery and body is really stretched and low. Taking time out even if it’s only 10 minute every couple of hours to just sit and take a few deep conscious breaths can make such a difference. It’s stress that blocks and locks you down, mainly because of the emotions we attach to it, so it’s very essential to interrupt this mindset and breath work does this beautifully. 5- Who inspires you and why? The Dalai lama he talks with such clarity and simplicity. Nelson Mandela for showing so much courage , forgiveness and compassion through out his life. Oprah Winfrey because she has made spirituality normal, self work essential and authenticity a goal for life. I’m in awe of people who face life with a disability, their resilience and fortitude overwhelms me. Especially when I think I’m having a bad day, I’m always looking for the silver lining. 6-Michelle you’ve been a wellness entrepreneur for 30+ years starting out as an aromatherapist /Healer: based on that journey, what’s the key message that you would share with women via your brand? Be yourself, define your beliefs and demonstrate them on daily basis. Rather than being driven to succeed at all costs, incremental steps to ensure integrity, find your balance point and listen. Like the breath know when to receive(breath in) and when to take action (breath out) understanding the dance of Yin & Yang in life is essential. 7- what inspired you to develop your amazing range of ‘Therapie’ products? People, life, the world. I’ve seen a lot of successful burnt out people, as the world speeds up people and there are more demands on time it can feel harder to find balance and simplicity. Stress makes you flow unnaturally, restricts your breathing and body function and eventually the current becomes disrupted and blocked. It can effect in a multitude of ways so I wanted to address this therapeutically by creating a range that was simple to navigate with each element essential and effective in a specific way. Most of all to make sacred time to connect with yourself, little moments of respite throughout the day to reboot,focus and be. 8- How much of an influence do you think that your upbringing has had on the business woman that you have become? A lot, we were very nomadic, so I had to put roots down easily and know how to engage with a new groups of people,it’s made me very flexible. We lived a reasonably privileged life in India, I went to a convent school, and grew up a catholic, I was very spiritual from a young age and love to sit in church, though no longer a practicing I still love quiet contemplation. My mother was widowed very young and arrived in the Uk with two children in tow, no tangible work skills other than singing, a bright enquiring mind,impeccable manners and charm. It taught me resilience, flexibility and that I could do anything I put my mind to. I’m optimistic at heart but when I hit a wall I give myself time to process, this generally helps me to understand why a thing has happened, my spiritual belief guides me always and gives me the courage to take risks. I believe that life is an opportunity to be embraced and there is always something you can do and a way to achieve it. I’ve known what it is like to be privileged and to have nothing. My mother was so brave finding herself in an unknown place, without the life she knew and yet she still managed to make life work made it magical,an adventure and most of all for people to admire her, what a great teacher. 9- How do you define success? Tricky question, it’s definitely not wealth but money does help to oil things along. I guess it’s that sense that when what you have invested time,creativity and energy in is understood, embraced, cherished and loved, I get so much from the feedback people give of their experiences with the product and how profoundly it’s helped them, that’s a success to me. I’ve been so touched by the very personal connection people have made with this range and it feels I can help and touch so many. Of course to feel recognised and acknowledged for your skills and to earn a living that gives you the freedom to live life without restrictions or financial stress is also amazing. 10- Do you think that social media has helped to push the cause for more inclusiveness in the beauty industry? Definitely, I think it has been tremendously unifying. I love the limitlessness of it. 11- Wow beauty is passionate about supporting and empowering women: how important is it for you to support other women? and how important are the cheerleaders in your life? So for me empowerment has come through really learning to love and be me, the dark and the light, the good and bad, from there I learnt so much. Through honesty you gain clarity and strength, you can see through the facade and do anything! Cheer leaders are very important and to be nurtured, I like authenticity, genuine love and appreciation and a true connection with what I’m doing. Wellness Zone: Nutrition tips for skin from Sandra Greenbank! 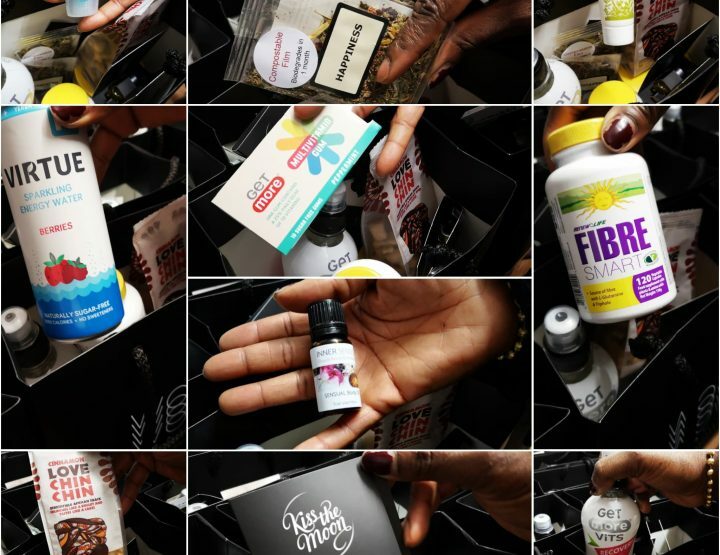 A 'Superpowered' Wellbeing Goody Bag!